Make Teething Easier with Tips from Your Pediatric Dentist in Birmingham! As a parent, one of the joys of witnessing the development of your little one is the eruption of his or her primary teeth. This is a period of life that you’ll always cherish, and your pediatric dentist in Birmingham has some simple tips to keep in mind that’ll make the process go smoother. Continue reading to find out what they are! Teething Rings – Babies who are teething seek to chew on things because it provides a counter pressure that relieves some of the discomfort of their new teeth erupting. A teething ring is great for serving that purpose. Gum Massage – You may notice that when holding your baby, he or she begins to gnaw at your fingers with his or her gums. This is because the pressure provided by your fingers massages the soft tissues. You can clean your hands thoroughly and then offer a finger to your little one for some relief. Cooled Items and Foods – Items or foods that are cooled offer relief to babies when they are teething because they provide a contrast to the eruptive behavior going on just beneath their gums. For example, if you offer a teething ring, it’s usually better received if it’s been chilled in the refrigerator beforehand. Breastfeeding – For some babies, breastfeeding serves as a natural way of massaging their gums and calming them during bouts of irritability. You can monitor how they react to determine whether this will be a viable option. Talk to Your Pediatrician – It’s always great to talk to your pediatrician about what’s going on with your child. He or she may be able to suggest other ways to soothe any irritability. No Frozen Items – Giving a child items that have been frozen could damage the gums. Instead, only chill them in the refrigerator. No Homemade Remedies – It’s best to avoid homemade remedies like alcohol and herbal products that haven’t been tested and approved. Some of them can cause serious problems like low blood oxygen and heart issues. No Topical Ointments – Unless you’ve spoken with your pediatric dentist and gotten clearance to use it, you should avoid applying topical ointments to your baby’s gums. No Aspirin – Your pediatrician may advise you to give your little one acetaminophen or ibuprofen (for babies), but you should never use aspirin. Now Back to Having Fun! Now that we’ve got all of that out of the way, you can return to enjoying the process of watching your baby’s development. 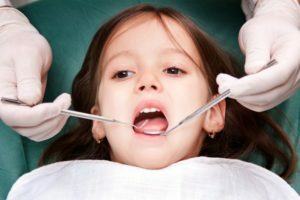 Also, keep in mind that when your little one starts eating solid food and his or her first teeth erupt, you should schedule your first pediatric dentist visit to ensure that he or she gets off to the best start to his or her oral health! Dr. Angelica R. Rohner earned her D.M.D. degree from the University of Mississippi School of Dentistry. 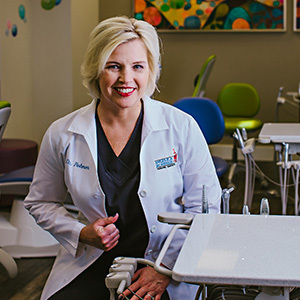 She then completed a two-year internship/residency program in pediatric dentistry at the Children’s Hospital of Alabama and the University of Alabama at Birmingham, which culminated in her receiving an advanced degree in pediatric dentistry. You can learn more about how Dr. Rohner can guide your little one’s oral development through her website. Comments Off on Make Teething Easier with Tips from Your Pediatric Dentist in Birmingham!